Youth Legend is organizing 5 days 3rd Nepal Thailand Exchange Program from 22nd July – 26th July, 2019. The exchange program holds noble aspiration of connecting young people of Nepal with possibilities and inspirations in different corners of the globe to help them connect and establish amicability and lasting network amongst each other with the sense of cross-cultural understanding and compassion. International exchange is the experiential learning program where the participant will spend 5 days in Thailand broaden their knowledge and understanding, increase tolerance, compassion, empathy and acceptance. They will be the part of local, cultural immersion, visit local organizations, learn about local context of women, youth, entrepreneurship in south asia, take parts in workshops and interactions programs on entrepreneurship, teambuilding and leadership, and visit local places which will help build global networking opportunity. The general objective of the exchange program is to promote international educational and cultural exchange to develop mutual understanding between the people of Nepal and other countries. Other objective of the camp is to increase knowledge and understanding of history, culture, economy of different countries in the world, develop cross cultural understanding, global friendship, understanding global issues, increasing tolerance, self confidence, self esteem, problem solving skills, tolerance, team building etc. Exchange Program is common in many countries around the world. 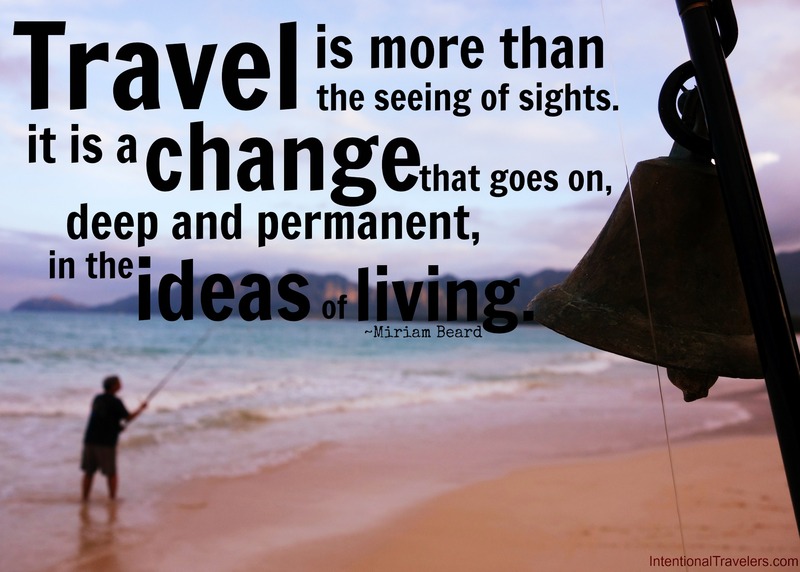 Young people go for exchange during summer or winter breaks or they also take a gap year to spend their time in a new country and for many people, it is a life-changing experience. We have come up with International Youth Exchange to facilitate the youth of Nepal to have the same experience. High School / Campus students are the ones who can benefit a lot from International Exchange program as they will be the part of local, cultural immersion, visit local organizations, learn about local context of women, youth, entrepreneurship in south asia, take parts in workshops and interactions programs on entrepreneurship, teambuilding and leadership, and visit local places which will help build global networking opportunity. Along with the above mentioned once in a lifetime opportunities, the participant, will not only represent their Country in an international platform but will also carry the pride of their County. Visit to various places, organizations, and cultural sites. 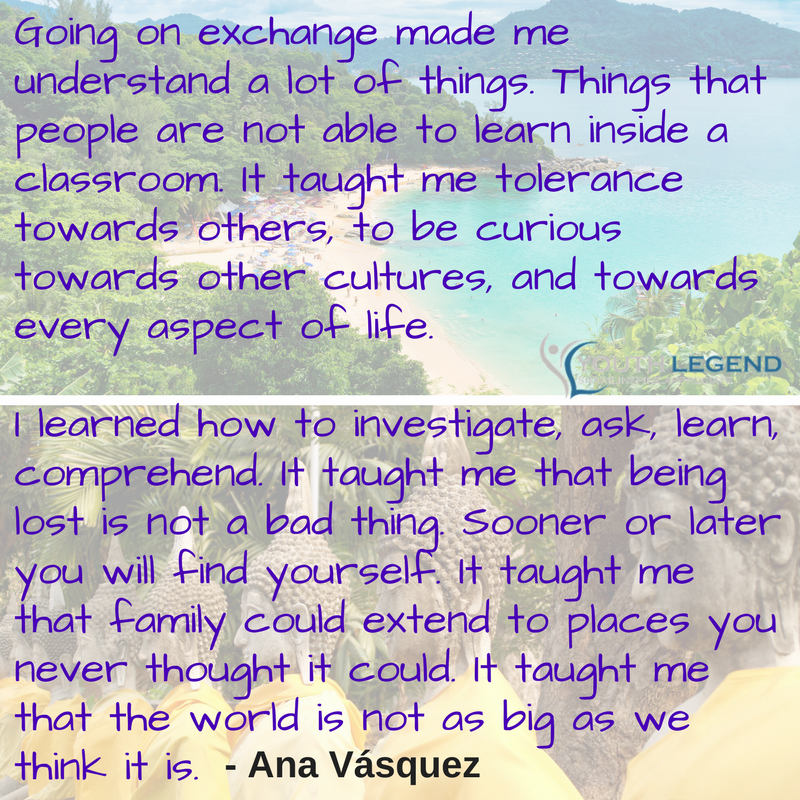 WHY SHOULD YOU GO ON THIS EXCHANGE PROGRAM? You should go on the exchange program because of the impact it can create in your life and all the benefits it has. 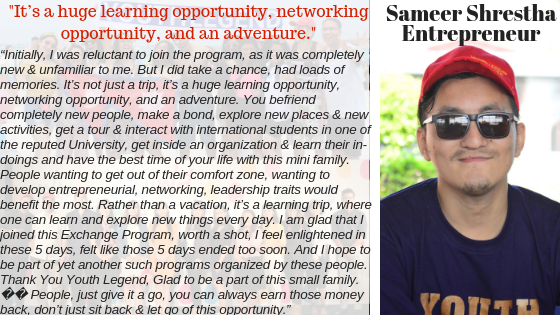 “Nepal Thailand Exchange program was a fun – learning experience for me. I was amazed to see a new side of me, at a completely new country and with people from absolutely different backgrounds. For me, meeting the young CEOs of various organizations like ACHIEVE and Green Peace Foundation, interacting with them and knowing their struggle stories from themselves back in Thailand was an amazing experience. Similarly, the university students that we had a discussion with also came from different countries of the world with their own perspectives, visions and motives towards their own fields of interest. While I was in Thailand , I often used to compare Nepal with it on the basis of development and found out that there is a lot to look forward to in Nepal from systematic traffic roads to involvement of youths in entrepreneurship. Adding up, I would like to remember the blissful speed boat rides, the breath taking view of the Coral island while flying high in the air during parasailing and touching the floor of the ocean during sea walking. Not forgetting the energizing session of Muay Thai where we learned tips and tricks on self-defense from the renowned boxing champions. Furthermore, from receiving the warm hospitality to coping up with a little bit of language barrier every time with a smile, precious five days at Thailand came to an end with a blink of an eye. 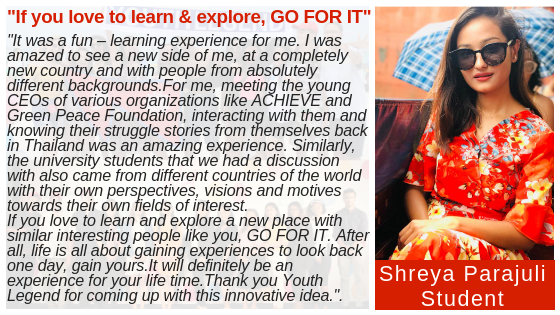 If you love to learn and explore a new place with similar interesting people like you, GO FOR IT. Youth who go for foreign exchange program develop an excellent measure of personal flexibility, encompassing an ability to reach compromise, focus and succeed through challenging times. They are more comfortable in ‘foreign’ environment, become aware of career and further study option which they didn’t know existed. This will go on their resume and hence will help for career growth. This will also increase your chance for visa acceptance to other developed countries. Broader General knowledge and understanding of the global issue. Enhance your knowledge and understanding by learning about the rich history of different countries. Maturity and social poise, fuelled by the necessity to confront challenges outside a familiar support network and comfort zone. The organizer of International Exchange 2018 is Youth Legend. Youth Legend is a social enterprise established on May 2014 to create impacts in the lives of young people around the world. Youth Legend works in 3 core areas of International Exchange, Youth Empowerment and Psychosocial wellbeing. After organizing series of International Youth Camp in Nepal since 2015 bringing people around the world, we are embarking in the journey of international exchange since June 2018. You will get the selection email if you are selected for the program and further process will be sent to you.